If you’ve been considering a bathroom remodel, you’re probably wondering how the money will be spent to cover supplies and labor. The price range can vary significantly, depending on whether you want a full or partial renovation. If you’re working on a set budget, it’s best to complete the makeover in stages. Before you begin, decide how much you’re willing to spend. You should know going in that close to half or more of the remodeling budget will be spent on labor and installation fees. Read on to learn how the rest of the costs break down. Updating the plumbing will account for at least 20% of the budget. You will want to upgrade the toilet, showerhead, faucets, and possibly the drains. A new water heater and septic tank may be necessary, depending on the age of the system. Updating the plumbing with high-quality, energy-efficient equipment will save money over the long term. Expect to pay between 10-15% for attractive and durable cabinetry, tile, and flooring. The prices will greatly depend on your preferences of materials. Vinyl flooring is less expensive than marble, slate, and other natural stones and ceramics. A fancy tile backsplash in the shower will be labor-intensive, so expect to pay more for custom designs. Countertop surfaces will cost between 5-10% of your budget. Bathroom countertops are a feature for which you can choose durable materials without spending a substantial amount of money. Many bathroom remodels come in slightly over budget due to unforeseen plumbing installation costs or additional details including artwork, heated tiles, and other décor options. Include an additional 25% in your budget to cover unexpected fees. When you’re ready to start your bathroom remodel project, contact the professionals at All-Pro Plumbing in East Point, KY. 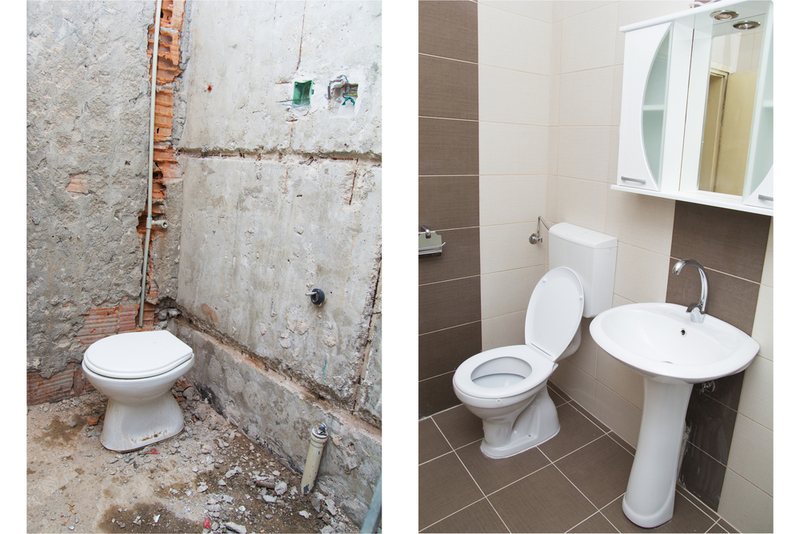 They offer superior plumbing services for all of your renovation needs. Call (606) 886-1362 and visit them online for more information.